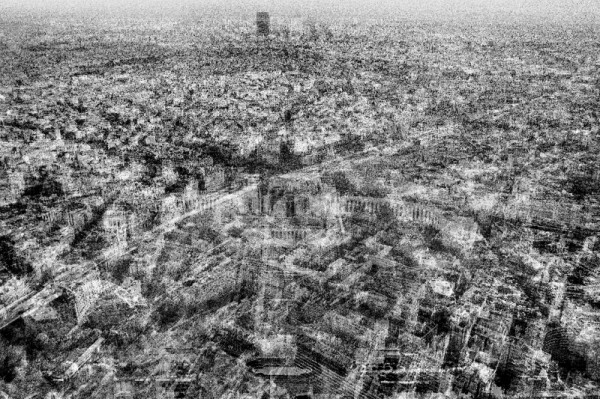 The work series “netropolis” (2003 – 2006) is an exploration of the way global cities will develop in the future. In 1926 director Fritz Lang created the vision of a futuristic 21st century megacity in his film “Metropolis”. Now that we have crossed the threshold of the 21st century new sets of factors unthought of by Lang move to shape the future of our urban spaces. Of similar magnitude to the impact of the industrial revolution in the late 19th century, it is now computer networks and the information society based on them which are the main vehicles for change, the key elements transforming the face of our urban living spaces. The complexity of a huge megacity is to be considered as material embodiment of information density. Telematic space endows the urban environment with a new form of structure, intermingling with it and giving birth to a completely unprecedented form of urban space. The panoramic view transforms the reality of urban spatial structure into landscape. The digital fusion of panoramic views taken from different angles transforms the landscape into a woven fabric of relationships which is abstract and multi-layered yet still underpinned by a geographic reference point. 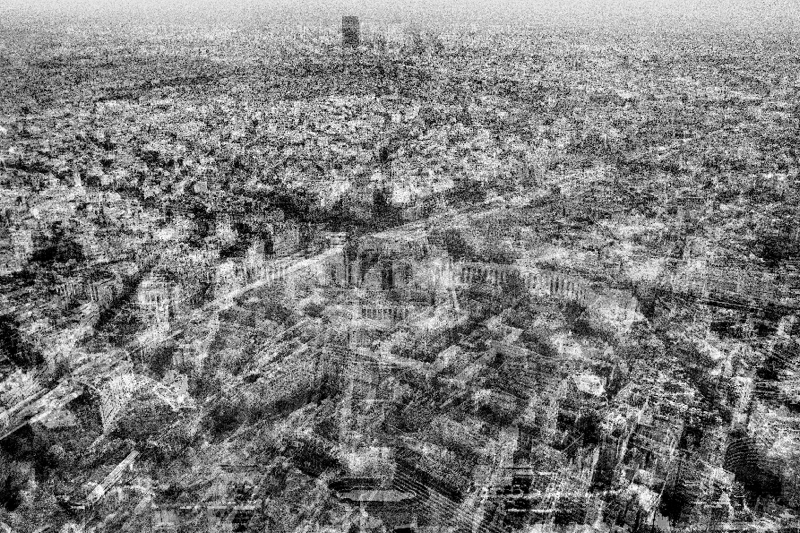 Viewing the city from a distance inverses the perceptual order of objects viewed in close-up. The view from afar is orientated on what is clearly visible from a distance and provides a context for objects which appear too close when viewed close up and thus retain their strangeness. In virtual space, however, distance and proximity lie on the selfsame level. The different cities and relationship strands need first to be combined and interwoven before they can give rise to a completely unprecedented and imaginary form of urbanity – the telematic netropolis. 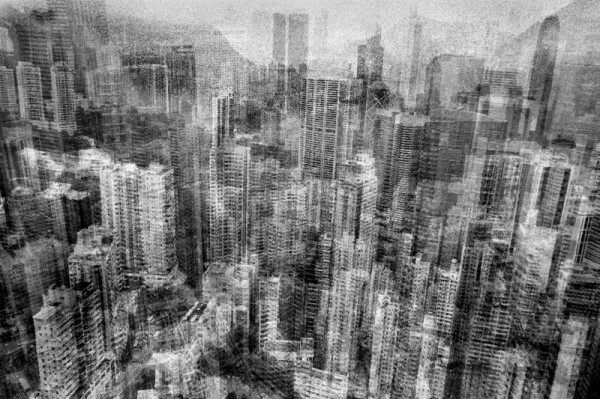 The “netropolis” series of works portrays the megacities of Berlin, Beijing, Dubai, Hongkong, London, Los angeles, Mexico City, New York, Paris, São Paulo, Shanghai and Tokyo. It comprises of twelve photographic works, one video work and one sculptural piece. Michael Najjar is a German artist, adventurer and – future astronaut. 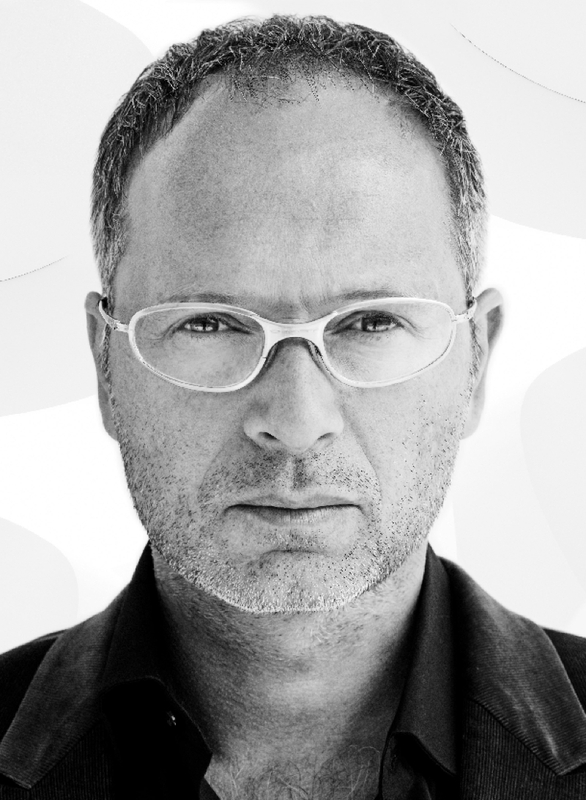 Born in 1966, he has lived and worked in Berlin since 1988. His work is shown in museums, galleries and biennials around the world. He works with Photography and Video. The focus of his work is on key elements of our modern society driven and controlled by computer and information technologies. Najjar, widely seen as a visual futurist, transmutes science, history and philosophy into visions and utopias of future social structures emerging under the impact of cutting-edge technologies. The fusion of realistic elements with fictitious realities, is a recurrent hallmark in his work which is usually composed in thematically focused series. Najjar demonstrates the potential of the photographic image, capable of making visible what is normally invisible to the human eye. His work visualizes what very often is beyond the limits of our perception, unveiling what is hidden under the surface of what he calls “telematic society“.